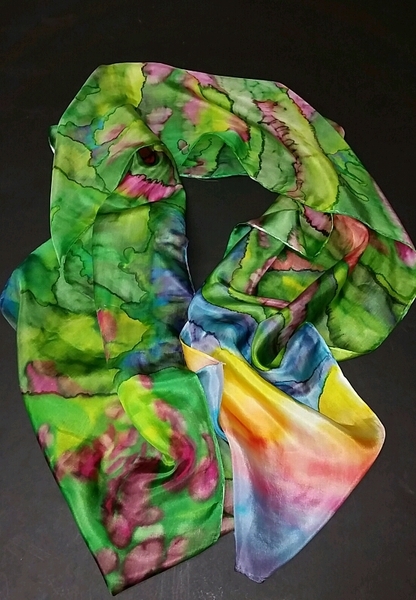 Homer artist Nancy Wise brings shine, glamour, and sparkle to the Art Shop Gallery with her fused art glass and hand-painted silk scarves. Nancy draws from the natural beauty of our Alaska, applying a surprising color palette sure to bring cheer through the dark and capture the joy of summer's light. Alaskans love to entertain, and Nancy's pieces will make it more fun to serve anything, from sushi to kale salad to smoked salmon. 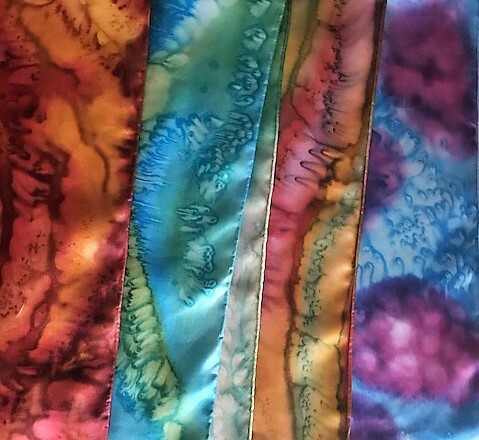 Her work includes handmade Christmas ornaments and eye-catching barrettes. 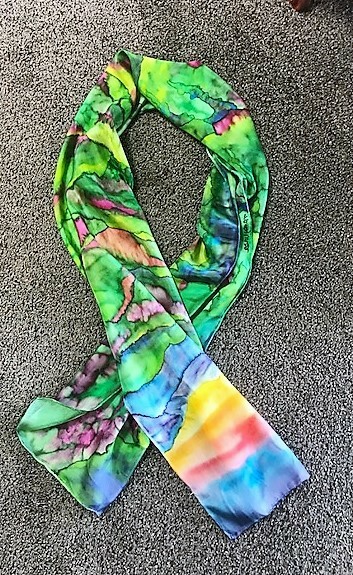 To see Nancy's full line of silk scarves - with and without fleece lining - along with her jewelry and ornaments, please come into the shop in Homer. Please click here to learn about Nancy and her art.